id=”attachment_585″ “Maybe I’m just gay.” We’ll take it. 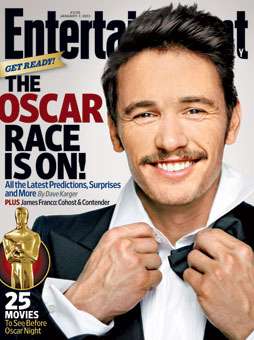 James Franco sure knows how to keep raising gay blog eyebrows (and more). The 127 Hours actor recently sat down with Entertainment Weekly and dished on his gay icon status, and why he enjoys going gay for pay in Hollywood. The actor has been dating actress Ahna O’Reilly for a number of years, but we won’t get into that right now. Let’s just let Franco’s words speak for themselves. Are you a fan of Franco?